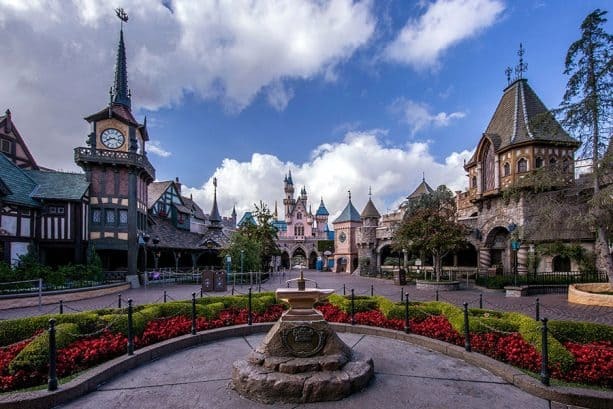 In commemoration of Walt Disney’s birthday, today’s Walk in the Park visits some of the spots Walt loved at Disneyland park. 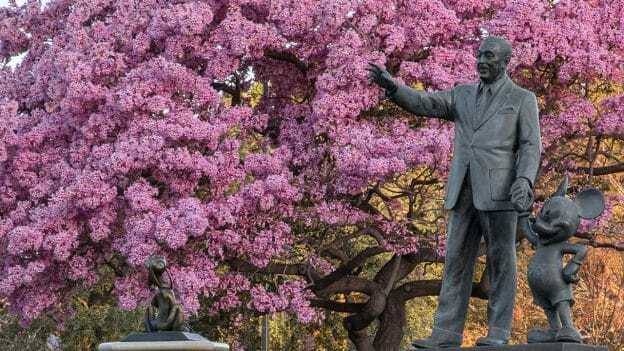 Walt was famous for his early morning strolls through Disneyland park. 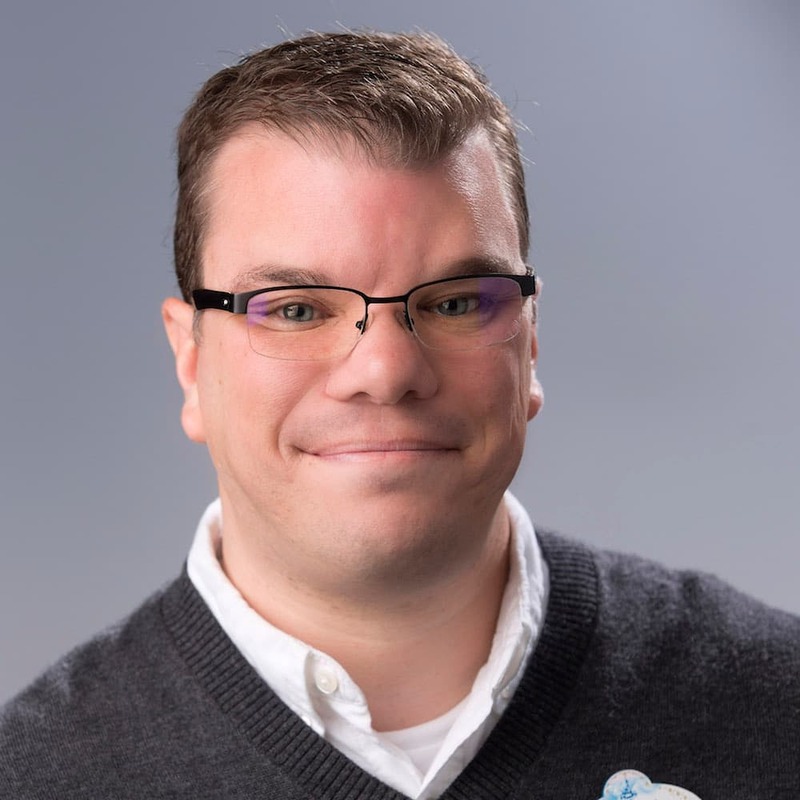 He’d inspect, make notes, chat-up the cast, and refine his magic kingdom every chance he got. This ritual was immortalized in an iconic photograph made as Walt strolled through the arches of Sleeping Beauty Castle. The picture came to be known as “Footsteps.” See my take on “Footsteps” above. Walt, ever the railroad enthusiast, was often photographed at the controls of a steam engine. That legacy lives on aboard the Disneyland Railroad. 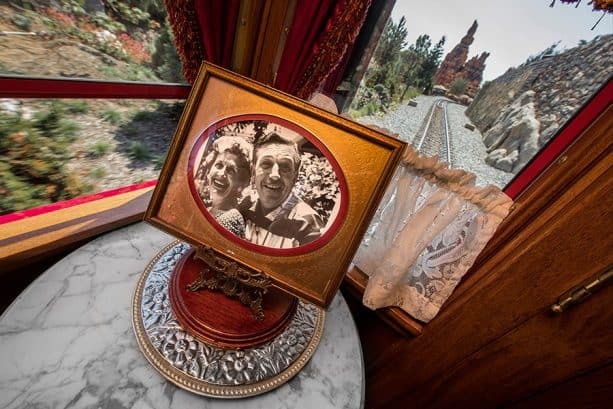 I love that there’s a framed photograph of Walt and his wife, Lillian, forever circling the park in the comfort of their custom passenger car: Lilly Belle. Walt once said: “I think what I want Disneyland to be most of all is a happy place–a place where adults and children can experience together some of the wonders of life, of adventure, and feel better because of it.” You feel as if that dream has been actualized as you watch families kick off their Disney day along Main Street, U.S.A.
Walt had an apartment constructed for himself atop the Main Street Fire Station. 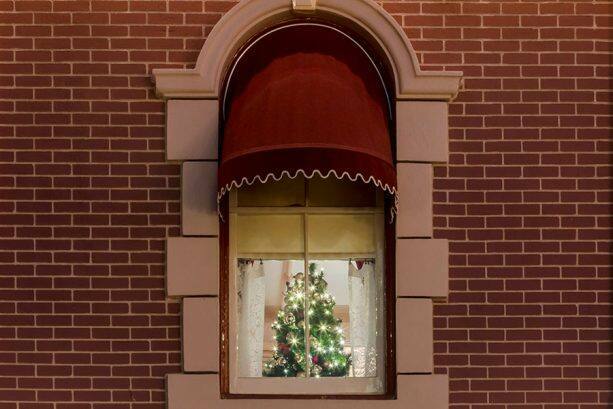 Cast knew the boss was around when they saw the lamp lit in his apartment window. 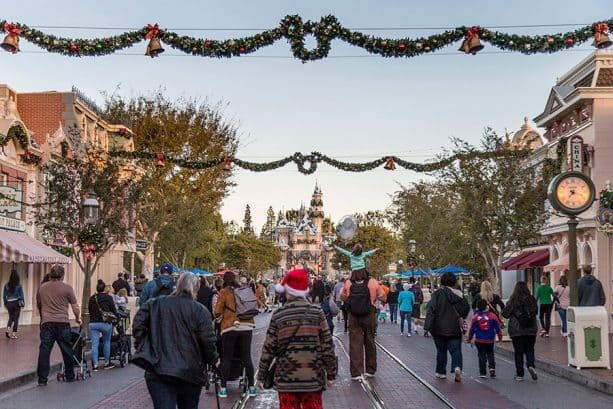 We have kept that lamp lit since the day he passed as a reminder that Walt is always around and, for the holidays, that lamp has been replaced by a lit Christmas tree. 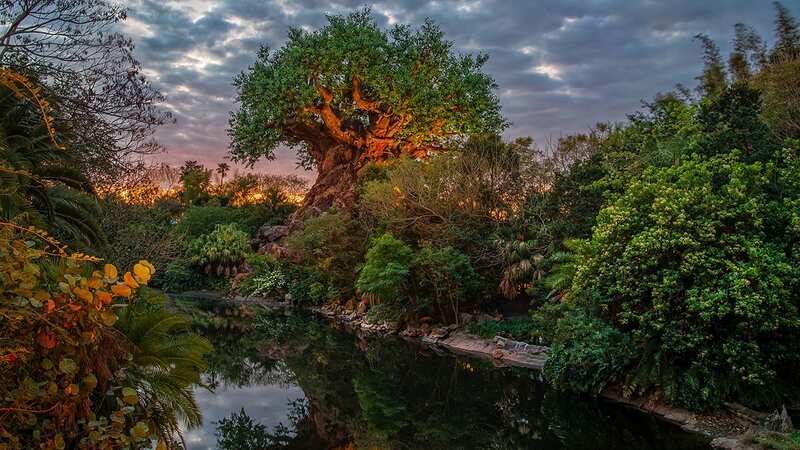 Today, Disneyland Resort continues to grow and evolve, delivering joy to guests from around the world—all because Walt Disney had a grand vision to make his dream a reality. This tour is absolutely magical. You definitely leave feeling inspired to dream big as Walt so often did.